Buena Vista voters will decide today whether to renew a millage to cover its now-dissolved school district's debt. Buena Vista voters today will decide whether to renew a millage that would cover debt still owed by the township's now-defunct school district. Last November, voters rejected a similar proposal to cover the former district's $725,000 debt. In 2013, the state dissolved Buena Vista Schools, then divvied up the district's property and students between several neighboring districts. If approved, proposal would levy 18 mills to cover the operating debt Buena still owes on buildings it no longer owns. Gloria Platko, Buena Vista township clerk, said the state shut down the district without considering the debt. "The citizens here don't mind paying a debt if we own the buildings," she said. "But we don't own the buildings because [the state] took them away from us," she said. The non-homestead millage only applies to businesses and secondary properties. A Michigan Senate-approved bill to eliminate Buena Vista's debt to the House Appropriations Committee this week. If approved, the bill would draw from a $2.5 million work project fund originally set aside for Saginaw Intermediate School District. How can Lansing support struggling school districts? Our conversation with Craig Thiel from the Citizens Research Council. One of the most challenging issues facing the new state Legislature is school finance. 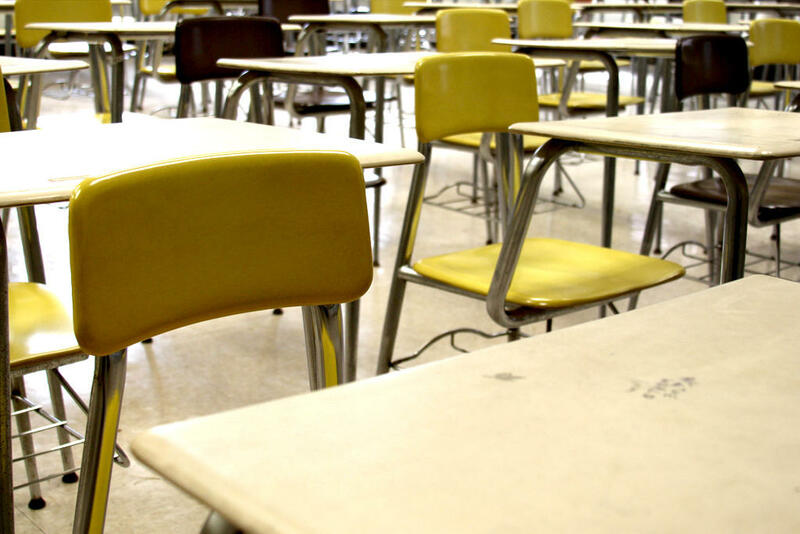 The Citizens Research Council recently released a report spotlighting shrinking school enrollment and the associated financial difficulties for districts. The report offers suggestions about how Lansing could support these struggling districts. Craig Thiel, senior research associate with the Citizens Research Council, joined us today. He says the last time school enrollment was close to what it is now was the late 1950s. A Saginaw area school district that's closed its doors has now asked the state to review its finances. That's the first step toward a state appointed emergency manager. But the move does not guarantee the District's 400 students will be back in class anytime soon. The Buena Vista school board heard from parents and students last night, angry about the abrupt and apparent early end of the school year. “If we don’t get these kids back in school…we’re going to be the ones who destroyed their lives,” one upset father told the school board. It’s the first day for school for tens of thousands of Michigan students. The drumbeat of a new school year literally began bright and early this morning in Marshall, as hundreds of students packed the school’s gymnasium. Among them were about 140 students from Albion. Albion school officials decided to close that district’s high school last spring to save money. Dan Luciani is Marshall’s high school principal. He says the transition has been going well today despite some crowded classrooms. Saginaw school officials face big decisions about some of the district’s buildings this week. Wednesday, the Saginaw School Board may vote to sell the old Buena Vista high school to an out of state education company. The sale would net about five million dollars.